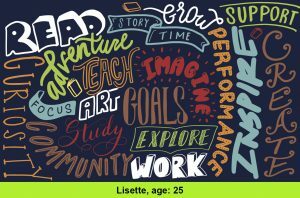 Congrats to Lisette, Age 25! One of the winners of the LVCCLD Library Card Design Contest! Pick up your new library card featuring local artists of all ages in February at any LVCCLD location.